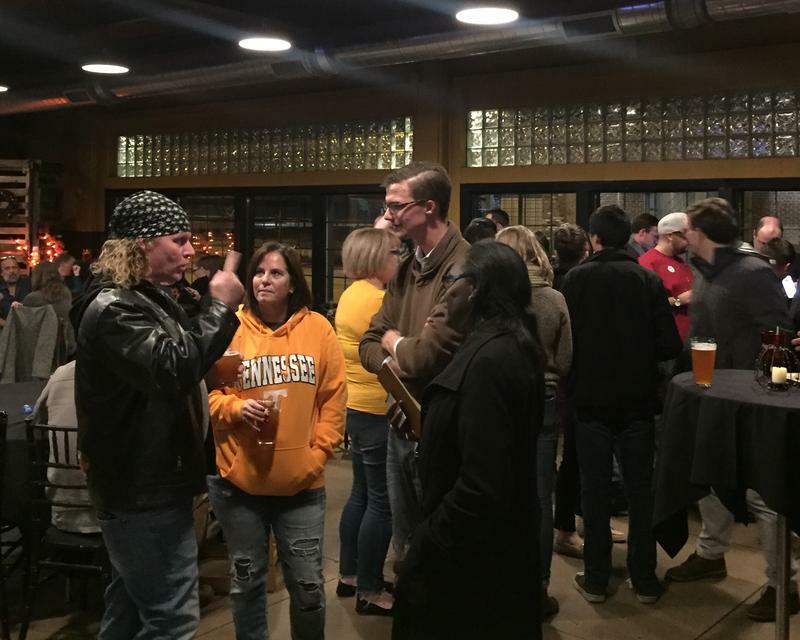 Derek Dobies (center) at his watch party at Grand River Brewery Tuesday night. Voters in Jackson elected Derek J. Dobies as their next mayor. WKAR's Katie Cook speaks with Derek Dobies shortly after his win. Dobies won the election against Bill Jors 55-to-45 percent. Prior to the election, Dobies was the Vice Mayor for Jackson. 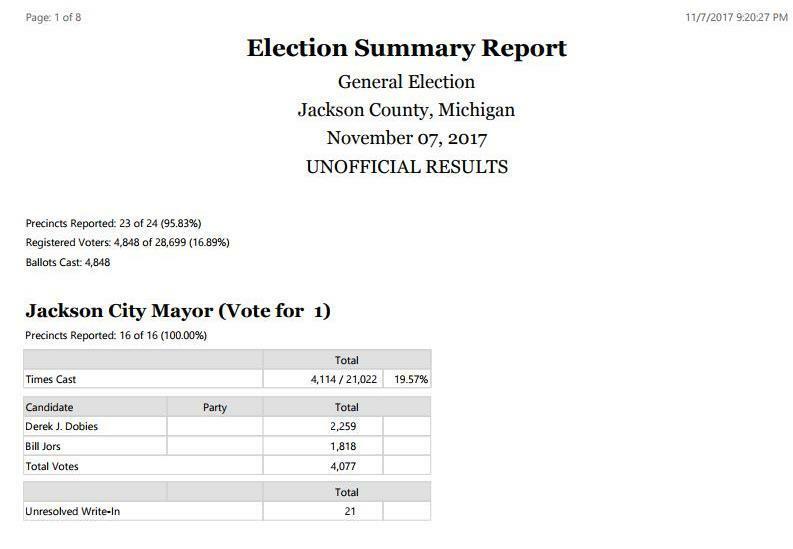 Jackson mayoral election results as of 10:00 p.m. on November 7, 2017. In our continued coverage of local elections, WKAR’s Katie Cook takes us to Jackson, where the race for mayor is heating up. 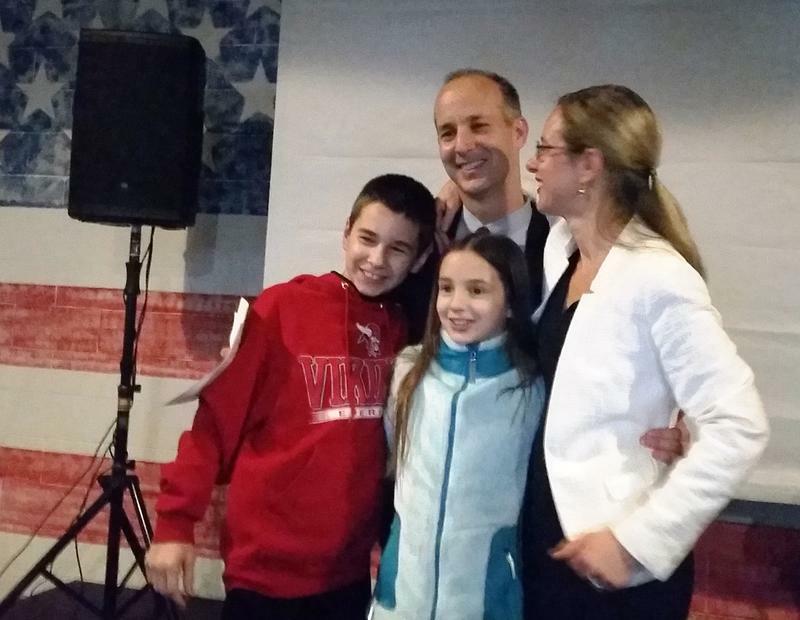 The city of Lansing elected State Representative Andy Schor as its next mayor. 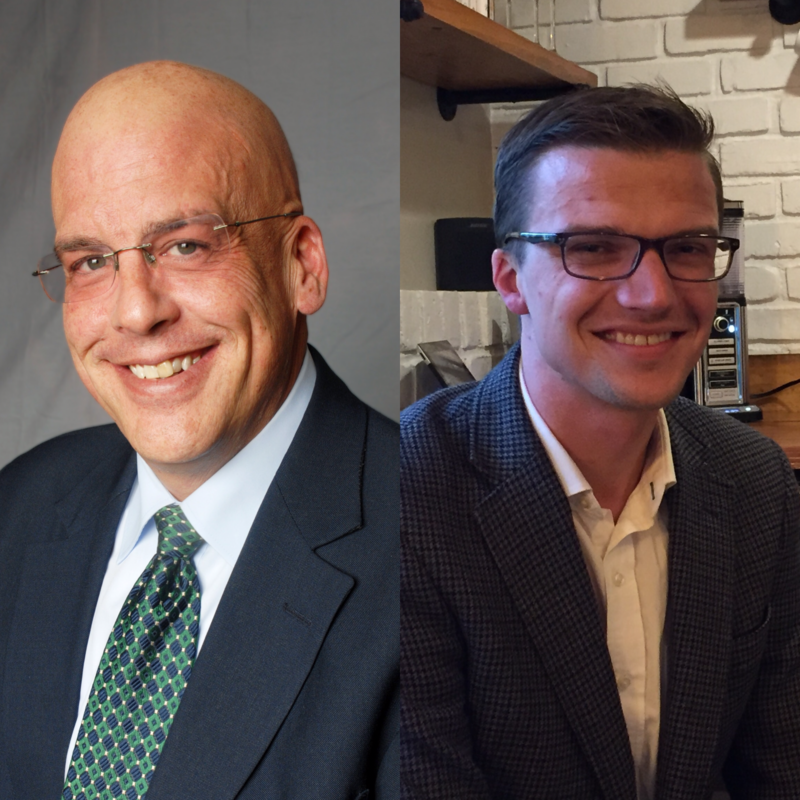 WKAR's Kevin Lavery describes Schor's historic Election Night victory. Flint Mayor Karen Weaver has survived a recall attempt with over 54-percent of the city's voters electing to keep her as Mayor.